HKScan has landed an important contract with the Chinese e-commerce giant Alibaba. 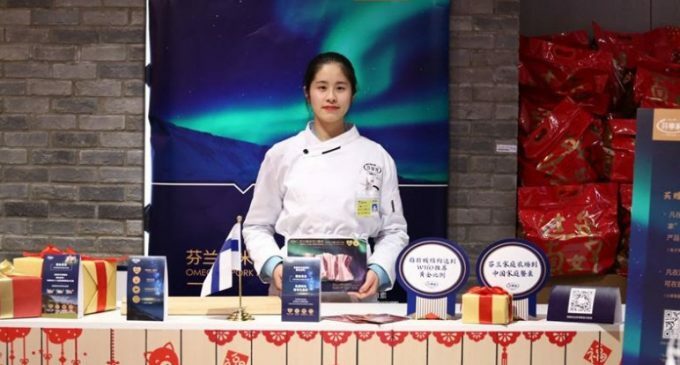 With its Omega-3 Pork® quality products HKScan is the first company in the Finnish meat industry to place products in Alibaba’s grocery retail reinventing Hema supermarkets and online store. “Hema chain stands out in the Chinese market with high-quality and exceptional products. This chain is very hard to get in to, only a couple of Finnish products have been accepted to the chain. The pure taste, healthier fat composition plus the arctic twist of our products convinced Hema and they made a quick decision to include our products to their selection,” comments Jukka Nikkinen, head of HKScan exports. Alibaba introduced its semi-automatic, state-of-the-art concept store chain in 2017. At the moment there are around 100 Hema supermarkets across China. “This is of course a significant step to HKScan, but getting into this very exclusive Hema-league also paves the way for other clean and safe Finnish products. Hema’s unique online store facilitates our branding efficiently and we get to tap into the right consumer segment,” adds Jukka Nikkinen. The next concrete steps in HKScan’s export journey in China have been planned. “We are growing the distribution inside Hema chain in Shanghai and the nearby areas. After that our target is to expand to other premium food stores both online and offline. In addition to Shanghai area we are looking also to expand to other Tier-1 cities,” says Jukka Nikkinen.